The name earwig comes from a European superstition that these insects enter the ears of sleeping people and bore into the brain. The keyword here is superstition, it is not true. The forceps-like cerci can both be used as offensive and defensive. weapons. The earwig overwinters outdoors in protected locations in pairs in earthen cells beneath the surface. The females lay their eggs in these underground nests and then tend the newly hatched nymphs. 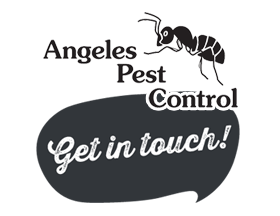 Earwigs are nocturnal and hide in shady places by day like under stones or logs or in mulch. The eggs and nymphs cannot exist long periods of dryness. Earwigs feed on live or dead plants or insects such as aphids, mites, thrips, leafhoppers, centipedes, millipedes, caterpillars, whiteflies and insect eggs. They feast on vegetables, flowers, fruits, ornamental shrubs and trees. They also have been found feeding on honey in beehives.